Rev F J Metcalfe preaching at the Fair Ground on Feast Sunday (before 1912). See note below. Photo courtesy of V. Hopkinson. 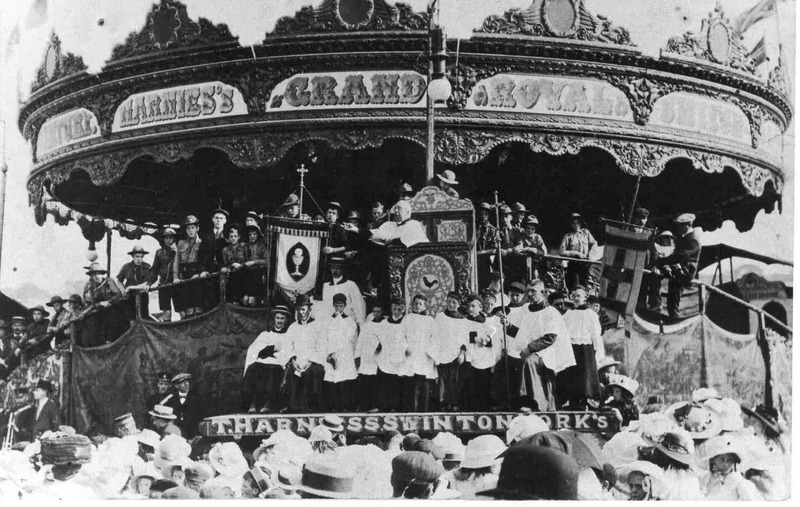 Rev Francis James Metclafe holding a serice on the Grand Switch Back belonging to T. Harnies, on the Fairground on Killamarsh Feast Sunday – before 1912. Boy Scouts and the Church Choir in photograph with Rev Metcalfe. Revived by Rev J. Milner in 1932.